Eduardo Ramírez Aguilar, president of the State Congress of Chiapas, dressed as a Tsotsil woman, listens to residents’ demands in the municipio of Chenalhó, Chiapas. In the midst of a militant Chiapas teachers strike, part of a national teachers strike over the education reform, some other Chiapas news tends take a back seat. The story that follows seems, however, to merit telling; first, because it reflects the violence that lies just beneath the surface in many parts of the state, and also because of the recent history of violence in Los Altos (the Highlands) of Chiapas. On April 27, a Chiapas blog reported that 7 police were injured while in the process of evicting indigenous Tsotsils from Chenalhó who held members of the State Congress and its workers (some 300 people) hostage for eight hours on April 25. It turned out that this was the third time the commission from Chenalhó had visited the Congress to ask that it accept the resignation of Mayor Rosa Pérez Pérez of the Green Ecologist Party of Mexico (PVEM). And, for the third time the president of the State Congress, Eduardo Ramírez Aguilar, refused to approve the resignation, claiming that it was signed under duress. It was after this third refusal that the Chenalhó residents closed off the doors of Congress and held all those inside hostage. This may not have made the news were it not for the fact that in the hour-long process of removing the Tsotsils from the Congress, some of the police were beaten up and then used tear gas. The tear gas drew the attention of people in the area near the Congress and soon there were groups looting nearby merchants, which resulted in the arrest of more than 20 people. On May 2, the group from Chenalhó held a press conference in front of the San Cristóbal de las Casas Cathedral. They talked about what they termed the “violent” April 25 eviction and again demanded that the State Congress accept the mayor’s resignation. They accused Rosa Pérez of not completing the public works she promised during her campaign and of claiming 70 million pesos in personal expenses. The group’s spokesperson, Tomás Pérez, stated that Chenalhó residents were determined to remove the mayor and held a plebiscite in which they voted to replace her with a current member of the municipal council, Miguel Sántiz Álvarez. He warned that if the Congress doesn’t accept her resignation on May 3, there would be thousands of Chenalhó residents from 100 towns going to the State Congress on May 5. The next news reported was not about thousands of Chenalhó residents that marched to the State Congress on May 5. They apparently changed their minds and resorted to another and more drastic tactic: kidnapping. La Jornada reported that on May 25, some 30 or so masked Chenalhó residents burst into the installations of the San Cristóbal Diocese and forcibly removed the president of the State Congress, Eduardo Ramírez, and the Deputy Carlos Penagos. They were meeting with Father Gonzalo Ituarte, the Vicar for Justice and Peace for the Diocese. Ituarte said that he, in the name of the San Cristóbal Diocese, members of the Peace and Transparency Commission of Chenalhó and a representation from the Legislature, headed by Ramírez, met to find a resolution to the conflict. The following day, Chiapas Paralelo reported that Ramírez and Penagos were taken to Chenalhó, where Ramirez was dressed in the traditional skirt and blouse of an indigenous Tsotsil woman of Chenalhó (to represent the absent mayor) and taken to the town square where they both had to listen to the residents’ demands. They accused the mayor of diverting 50 million pesos (to her personal use) during her seven months in office and demanded not only her resignation, but also the return of the public funds. 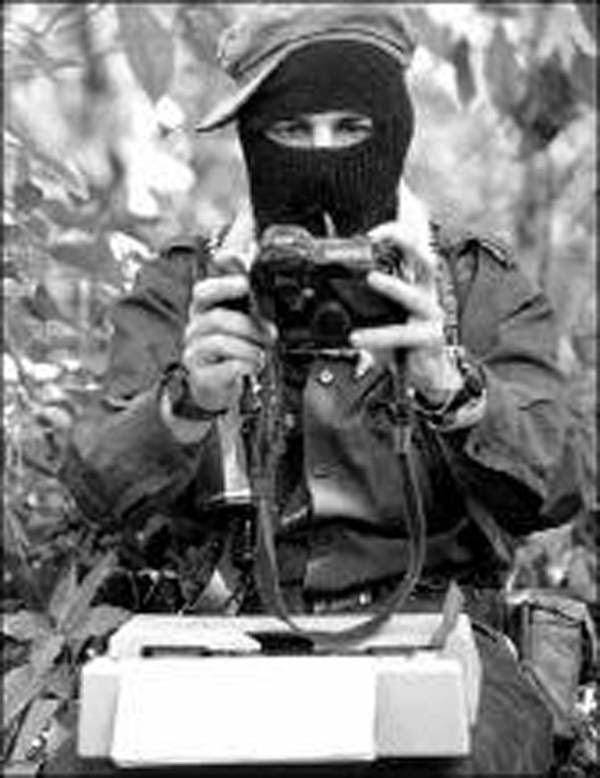 By now, we had learned the name of the dissident group: Movimiento Pedrano Chenalhó (Chenalhó Pedrano Movement). They have a Facebook page too! It was somehow resolved overnight; the mayor submitted a request for permanent leave, her resignation was accepted and the new mayor was officially installed. Ramírez and Penagos were released and whisked back to the state capital by plane, while the Chenalhó Pedrano Movement celebrated its victory in the municipal capital. But, that’s not the end of this rather unusual Chiapas story. When members of the Chenalhó Pedrano Movement were returning to their homes in the Colonia Puebla from celebrations in the municipal capital, supporters of the now ex mayor, Rosa Pérez, violently attacked them in the Puebla Ejido, also known as the Colonia Puebla. The attack left 2 people dead, 2 disappeared, several injured and 250 members of that movement displaced to an auditorium in the municipal capital of Chenalhó. Mexico’s National Human Rights Commission issued precautionary measures on behalf of the displaced. As if this political tale were not already sufficiently intriguing, former mayor Rosa Pérez filed a court action on June 1 asking to be reinstated to her position as mayor, essentially claiming duress. She also asked the National Human Rights Commission to issue precautionary safety measures for herself and for all the residents of Chenalhó!